The 39-year-old will be returning to TVB after a five-year absence. 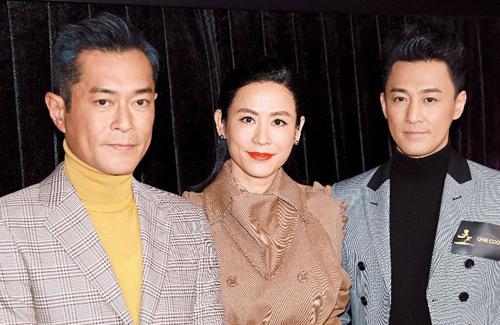 After graduating from TVB’s training class, Raymond Lam (林峯) acted in supporting roles for two years before landing a significant role in 2001’s A Step in the Past <尋秦記>, starring Louis Koo (古天樂) and Jessica Hsuan (宣萱). His first manager in TVB was Ronnie, who is also currently Louis’ manager. As fate would have it, Raymond has now signed with Louis’ management company. Raymond expressed, “Last year was a new chapter in my life. I believe in fate and after knowing each other for such a long time, I trusted that Louis knows what I am looking for in my career. This is why I ultimately decided to join his company. My main concern is the team that I will be working with and whether the role will lead to any breakthroughs for my career. People who know me know that I do not like to repeat the same type of role even if it is the protagonist of the drama. I try my best to develop a different multi-faceted character every time. 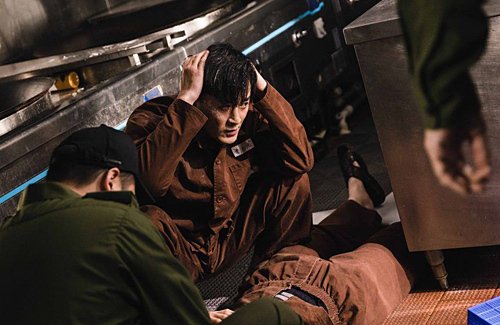 Raymond Lam shows his vicious side in “P Storm”.